In this post I’m going to introduce you to a free backlink monitoring tool that looks set to become a serious contender in the future. We will look at the gap it fills in the market and how it weighs up against paid competitors. It’s crucial to keep on top of your link building work and there are a lot of free backlink monitoring tools available right now and generally the problem is that they attempt to pull in data from other sources and generally don’t have their own database. Of course the likes of Google has their own database, but they only make a sample of links available for you to download in Webmaster Tools. Ok, so Yahoo! have made a lot of mistakes but the one that I’d imagine would stick out in the mind of most SEOs, bloggers and marketers is when they made the choice to shut down the Yahoo! Site Explorer which ceased to be on November 21, 2011. This followed the completion of the algorithmic transition from Yahoo! Search to Bing which seemed like quite an odd move. Yahoo! Site Explorer was apparently rolled into Bing Webmaster Tools but since the transition the number of available links in ‘Link Explorer’ has been shocking. Sure you can use the ‘Inbound Links’ section, but if you want to check on a competitors links then what? That means paying for an account with Majestic, Ahrefs or OSE (Moz). A new contender has emerged that gives much more than Yahoo! Site Explorer ever did. Enter – WebMeUp’s new free backlink checker. It appears that WebMeUp’s free backlink monitoring tool is still in beta but hey, it’s free and it’s another source for backlink data that we can utilise. Let’s face it – the web is pretty huge. How does it weigh up against paid competitors? I originally stumbled upon this free backlink monitoring tool a while back when I read Matthew Woodward’s 3 Million Domain Challenge. In the post Matthew compared Majestic, Ahrefs and WebMeUp’s backlink tool. He also shares a downloadable PDF and the original source data used in the test if you want to dig a little deeper. And it looks like Majestic SEO has the legs on everyone in terms of unique URL’s and WebMeUp surprisingly has 157.4 billion unique URL’s compared to 85.8 billion in Ahrefs. Matthew concluded that Ahrefs a clear winner in the 3 million domain challenge, but WebMeUp looks very promising. Google has a sizable chunk of the SEO industry along with bloggers, marketers and business owners running round like headless chickens. The fact that 3 senior guys over at Google can publically talk about an individual issue and manage to contradict each other is just astounding. In any case, they are forcing site owners into a pain staking process of manual backlink removal to recover from manual penalties even if the links were built by a competitor conducting a negative SEO campaign. Then submit a disavow document & reconsideration request and wait. Here’s a harsh truth – if you or the company doing this misses out just 1 or 2 links they will decline your reconsideration request. 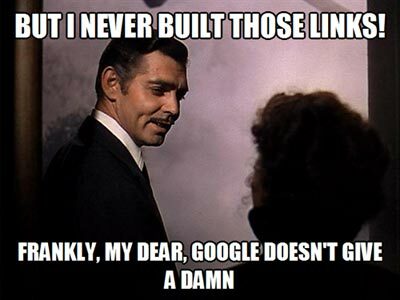 I’ve heard it before; let’s use all of the data out of Google Webmaster Tools. Well, it’s their data isn’t it? Surely they must use that data? Well, here it is – that data is just a sample and if you rely on that data alone you will fail. Just like you will fail if you rely on any other single source of data. That’s why when we run a backlink removal campaign we use them all. We don’t take any chances, that’s why we get the job done. We found that a lot of clients coming to us for link building services were also in need of a life raft away from a previous company that built thousands (even hundreds of thousands in some cases) of links to their site. In some cases they had also received a manual penalty with multiple failed attempts at lifting the penalty which is one of the main reasons why we started offering this service. Here’s a fact for you, manual penalties come with an expiration data in some cases but there is no telling what date that will be. Don’t let that lull you into a false sense of security though because even if the penalty expires, chances are that you have also been hit by an algorithmic penalty. And if you keep on having dodgy links built to your site you’ll only get hit harder next time. So if you have been hit by an algorithmic penalty or a manual penalty – take action. 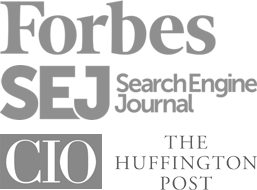 Are there any particular backlink monitoring tools that stand out to you? I’d love to hear more about your experience in the comments below.